Our Custom Ferrari Club of America Watch! Discussion in 'Photo Gallery' started by aandewatches, Jul 25, 2013. Well what do you guys think!? 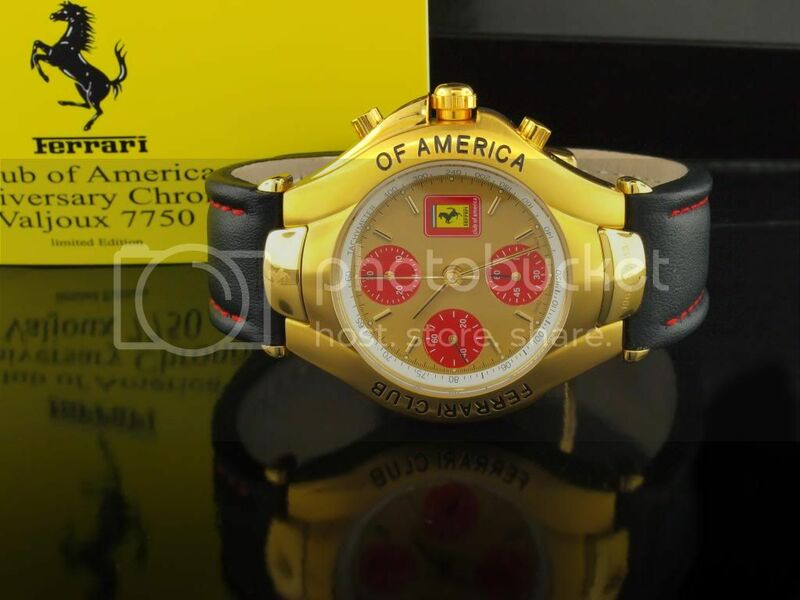 Ferrari Club of America contacted us to make these watches for them last year. They are celebrating their 50th Anniversary this month and needed 26 of them. We shipped them last week. Read our Blog Article titled: Ferrari Club of America Watch for details on internals. And of course let me know what you think right here!! Thanks TKF for having such an awesome place to talk about watches.